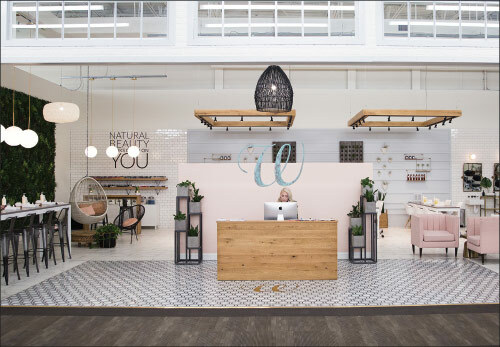 What women want: The W Nail Bar adds to the DSW shopping experience. DSW isn’t just a shoe retailer anymore? About two years ago we set forth on this mission of how do we grab marketshare and grow the DSW, Inc. enterprise? It had to start with getting the DSW brand healthy, which I believe we’ve demonstrated. Then it was about how do we grow beyond the core DSW brand? That’s where completing the transaction of our Canadian retail partners came about. And with private label being a huge opportunity, how do we get bigger in that space? Do we build it ourselves or do we acquire it? We decided acquiring (Camuto Group) would be less risky, and we think it has other opportunities for growth on the wholesale and DTC sides. What makes Camuto Group the right fit? We looked at numerous partners—we tried to buy Nine West, but it didn’t work out. Then Camuto became available and we thought, ‘Wow, that’s actually a better fit for what we’re trying to do.’ Sometimes you’re better off being lucky than good. In our opinion—and it’s even stronger now—they’re the best in the industry at sourcing and designing footwear, and I think you would hear that from everyone who buys product from them. So when we take what we think is the best practice retail operation in DSW and combine that with what we think is the best practice design and sourcing capability, those two aspects together can create magic within our industry. How does DSW make Camuto Group better? They’ve been in the process of uncertainly the past couple of years since Vince (Camuto) passed. Having us come in as a stable business helps. This isn’t the typical acquire and then break the company up into pieces scenario. We need everything they have. To operate the business from day one as it had been while layering on ideas of how else we want Camuto Group to grow is also a huge benefit to them. And this isn’t about just benefiting the DSW brand. It’s about how can we help Macy’s, Dillard’s, Nordstrom and other retail partners grow and compete in a landscape that is changing every day. That’s a different mindset than Camuto Group has had over the last couple of years, and I think that’s been refreshing to the people in that organization. Should DSW help competing retailers sell shoes? It’s about defining who your competitors are. Our opinion is that Macy’s, Nordstrom and Dillard’s are not competitors of DSW. Our two primary competitors are Amazon and vendors going DTC. The reality is we’re all fighting the same fight against King Kong (Amazon) and Godzilla (DTC). We’re all trying to manage through this fight. If you look at marketshare gains over the last five years, those are the two areas that have really grown. DSW invested $1 billion over about a six-year period, opening a couple hundred stores, and we grew marketshare by 20 basis points. The vendor community through DTC grew by 12 whole percentage points. So a brand like DSW that has a history of working with other retailers, like we do with Stein Mart, and the fact that we have a best-in-class rewards program that we’re willing to share with other retailers exactly how we go about it—that’s a unique proposition we offer. What’s more, retailers have been okay buying footwear from Caleres, which also operates a retail chain. I don’t think what we’re doing is unique. What is unique is the assets we can provide other retailers that we think can help them differentiate their product mix. Now we prefer the additional footwear they sell is made by us, but we also want to help them be successful overall because, long term, we’re all in this together. Some critics say you’re still competitors on some level, and it won’t work. What people have told us, and I would say the same, prove it. Let’s see us have success together and then we’ll be willing to go further along with you. The great thing is no one has said no outright. I believe most are happy someone came in with a strong balance sheet and a vision with where they want to take Camuto Group’s brands and make them healthy again. Those are all positives that will help our retail partners grow their businesses, which is what we need to help them do. So far, so good then? Yes. Since last May we’ve invested about $400 million, and we’ve grown our marketshare by almost two full percentage points. So six years and $1 billion generated 20 basis points while $400 million in six months got us 200 basis points. This’s the direction that we need to go, and it’s not the end of where we are headed on this journey of growth through acquisition. We’ve got to digest these two businesses, but we’re going to continue to grow. How would you describe the company in a word? DSW, Inc. is all about growth. DSW the brand is self-expression. That’s what we want people to feel when they are engaging with that brand. You purposely left out “shoe” in that description, correct? Yes. While we’ll always be about shoes—that’s core to what we do—we shouldn’t limit our thinking to just footwear. What are the aspects that you can bring to life around shoes, and that could be services like orthotics and manicure bars. I love those ideas. It’s creating what women want, and bringing that to life. Well, you’ve already invested in the real estate. Exactly. We have 550 warehouses across the U.S. and Canada. We only utilize about 18 percent of the cubic capacity of that space. So how do we go more vertical and how do we use the space differently. It’s a fixed cost; we just have to figure out how to leverage it. If we do we can grow our assortment—like we’ve found space for kids’—as well include these add-on services. If our largest competitor (Amazon) is opening 500 warehouses but only planned to use 20 percent of the cubic capacity, investors would go bananas. So why are we limiting our thinking to the way we have historically operated? We have to think differently. DTC is one of your biggest competitors yet you still partner with hundreds of brands. How might that relationship work going forward? There are maybe 25 to 50 of what I would call true brands that, no matter what you do, you need them in your portfolio. Meaning, when a consumer searches tennis shoes online, they enter the brand name. They may not all sell the most shoes, but they might have a larger share of that customer’s mindset. We’ve got to double down on those. Then there are labels where we carry an item or two and help maintain their business. 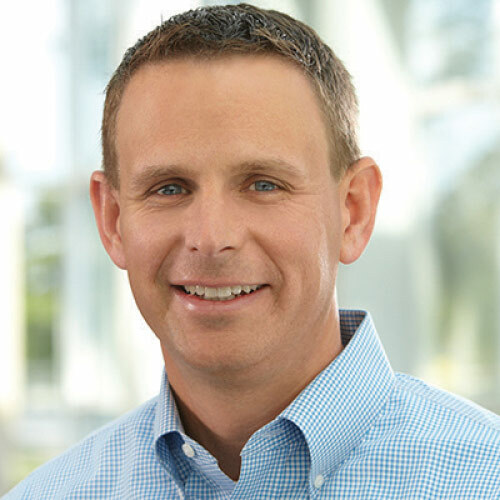 We’ve got to evaluate which ones are long-term players—which are unique and attracting a new and different customer for DSW. Those we should invest in and make certain they’re on our floor. The reality is instead of 800 brands maybe it’ll be 600. We’re still going to carry a lot, but that represents a major cultural change within an organization that has spent its whole life on selling people on why they should sell us. In an age of increasing consolidation, private label and DTC, will retailers and wholesalers even need each other at some point? I think we still do for those key brands and for identifying the next up-and-coming incredible brand, which is always going to happen. Retail is still going to be critically important for scouting and making a presence for those brands, because the consumer wants and expects that. As a ‘Designer Shoe Warehouse’ concept we need to be curating those brands and bringing them to life. And (enough) consumers will want to shop for shoes in a physical store? Absolutely. Where we’ve stood up and introduced a deeper inventory on seasonal items and added new experiences, we’ve seen positive traffic. And our revamped VIP rewards program, which we hadn’t touched in 10 years, creates new ways for shoppers to ewalk into our stores. Examples include bringing in lightly worn shoes to donate to Soles4Souls and earn $5 for a future purchase of footwear and doing collabs with Just Fab and Shoedazzle in select stores. Two or three years ago nobody here wanted to do that because we saw them as a competitor. The reality is they represent a great opportunity, especially with Millennials. And we’re going to continue to keep trying new ideas. There’s no fear of failure because we’re learning all the time. Not all of them will work—we’re missing more than we are hitting on—but we are hitting on enough that we’re seeing it disrupt our business in a very healthy way. When consumers enter a store, the conversation rate is 35 percent while the online rate is 3 or 4 percent. Which would you rather have? It all starts with having the styles, sizes and colors when they walk through the door. The No. 1 reason why people didn’t buy product at DSW had nothing to do with selection. It’s that we didn’t have their size. Over the past three years, we had pulled back on inventory but spread the cuts like peanut butter. The result was some in-stocks were nowhere near where they should have been, especially on seasonal items like sandals and boots. We’re the dominant player in that space, yet we had under-invested in inventory. So over the past 18 months, we’ve made a commitment to stand for best at seasonal, and our success over the past 12 months is due to that effort. The investment has already paid for itself. The fact is we know what our customer wants, so let’s use data to help us pinpoint that, stock it and stand behind it. If we take markdowns on a few items, so be it. But I’d rather do that than have people 65 percent of the time walking out with no purchase! Do you envision opening more stores? Remember the science class experiments where you filled a mason jar with bunch of rocks? Those rocks represent DSW stores, and 70 percent of the U.S. population is within 20 minutes of one of our locations. I feel we’ve got enough rocks in that jar. The sand around those rocks is what our smaller store formats represent. Those are 3,000- to 6,000-square-foot boxes that feature a more family assortment, and they represent tremendous opportunity for growth in the U.S.